Tranquility Base: Drama on Lake Tenzig! It's shaped like a sphere, right? 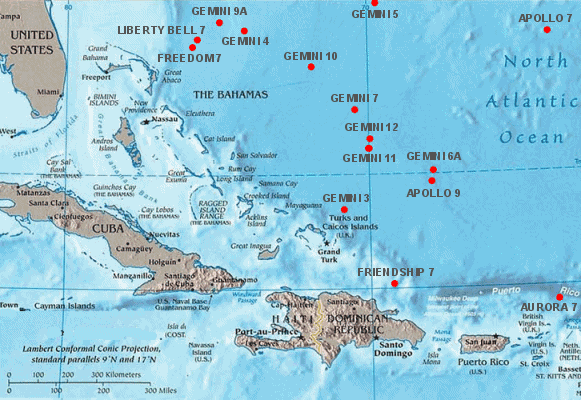 And here is Freedom 7, right after Alan Shepard's splashdown. See how Freedom 7 is shaped like a cone? The difference persisted for several decades, with the Soviet Voskhod and the (now Russian) Soyuz re-entry crafts shaped roughly like spheres, and the American Mercury, Gemini ,and Apollo crafts looking like stubby ice cream cones. I wondered why. You have two space-faring societies trying to accomplish roughly the same missions in space. Many of their engineers shared the same training, as both the Soviets and the Americans ended up with German rocket scientists after World War Two. Shouldn't any differences in spacecraft design be relatively minor? It turns out there are a number of practical reasons why U.S. and Soviet space capsules had different shapes. For example, the crafts landed differently. U.S. Mercury, Gemini, and Apollo missions all splashed down in the Atlantic or Pacific. Spashdown site for the Mercury, Gemini, and a few Apollo missions. 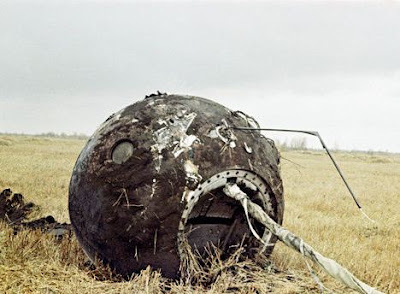 But Soviet and Russian spacecraft all land in Asia, set down on the ground. The ice cream cone design sits well in the water. It'll float, pointy end up. That's not a concern if you're landing in a desert in the middle of Kazakhstan. No need to make sure your spacecraft is seaworthy. It's just a spaceship, not a boat. The Soviet Union, and then Russia, has landed 122 manned spacecraft in Central Asia. Every single one landed on solid ground... with one exception. Soyuz 23 landed in the middle of a lake. And that landing very nearly killed the crew! Manning the first combination spacecraft/submarine/icebreaker. 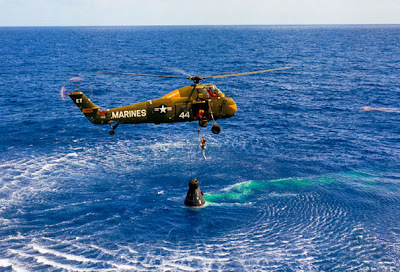 Despite the preference for ground landings, Soyuzes are designed to survive water landings. The problem was the weather at Lake Tenzig on that particular day. Lake Tenzig in the "winter." Source: Ramsar Convention on Wetlands. Soyuz 23 landed in northern Kazakhstan in mid-October, which apparently is winter there. 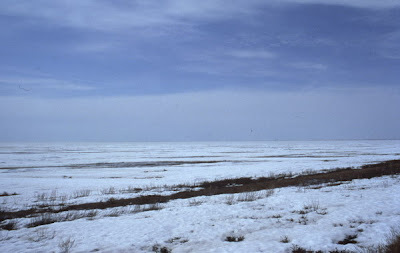 Weather conditions at the landing site were awful. It was nighttime, -8 degrees Fahrenheit, in the middle of a blizzard. The lake was fogged in. The craft landed 5 miles offshore,and its landing shattered the surrounding ice. 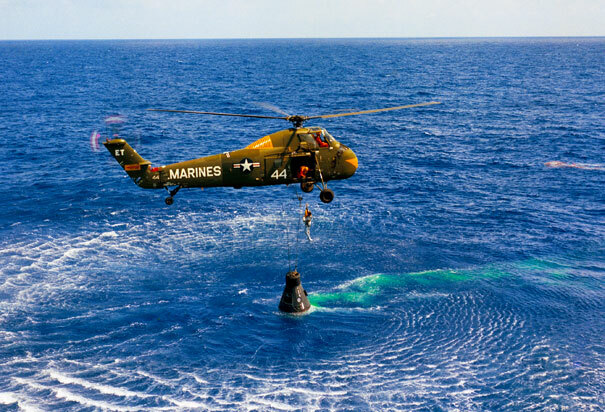 Its parachute soaked through, and the weight of the wet parachute flipped the capsule upside down so that the hatch was submerged. That was when Soyuz 23 became the first space-faring submarine. Its air intake valve was also underwater, so the astronauts had only the time-limited air supply that came with them from space. 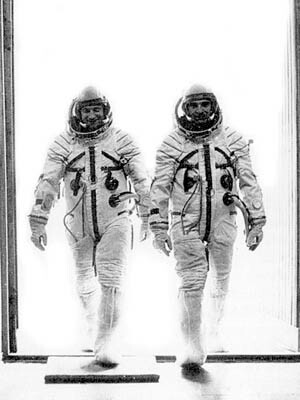 The cosmonauts cut off most of their instruments to conserve power and thus managed to keep the CO2 scrubbers running. That way, they could keep breathing for a while... though they must have been pretty chilly. Cosmonauts Zudov and Rozdestvensy awaiting rescue. 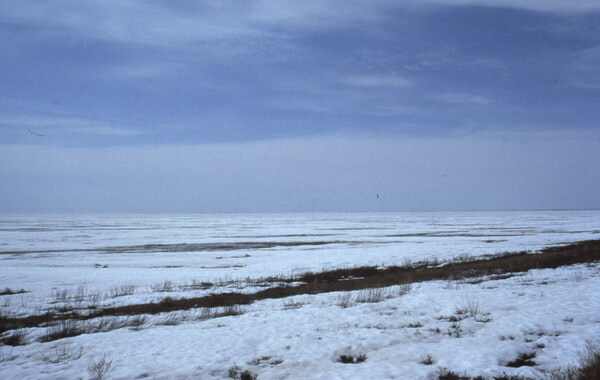 Since the lake was only partially frozen, and surrounded by bogs, neither boats nor amphibious vehicles could reach the craft. 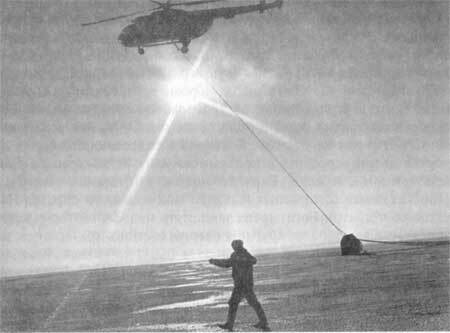 Rescue was delayed eight hours, till dawn, when helicopters could be safety brought in to tow the ship (with the cosmonauts still in it) to shore. The situation was bad enough that the rescue crew was surprised that the cosmonauts were still alive. Soyuz 23 Mission Engineer Valery Rozhdestvensky recalled, "when I got to see our photos and how they dragged the capsule - then I really was frightened - the only time in my life I was really frightened." 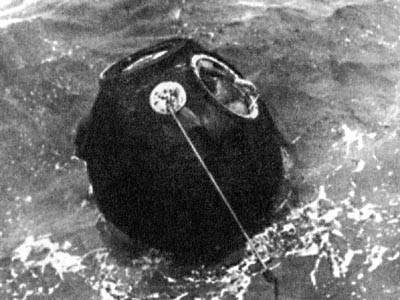 Soyuz 23, towed to shore.